This site is designed to quickly update the staff, parents, and students of Lamar Louise Curry Middle School’s IB program. If you have any questions, suggestions, and/or concerns feel free to comment below (response is private until moderator authorizes the post). You can also contact Mrs. Miranda by email, imiranda@dadeschools.net, or by calling 305-222-2775. In pursuit of excellence, Lamar Louise Curry Middle School’s vision is to empower students with a mature and comprehensive education that will benefit themselves and society. Our school will promote a culture of achievement by providing purposeful and enriching instruction ensuring that students will bridge any academic gap. Our students will benefit from an environment that encourages leadership and positive self-concept. It is also our goal to involve all stakeholders in accepting responsibility for achievement in order to better form partnerships with local businesses, postsecondary academic institutions, and the community. It is our vision that the students of this educational institution exceed expectations allowing a global society to reap the rewards of our dedication to character, leadership, service, scholarship, and citizenship. Our mission at Lamar Louise Curry Middle School is to ensure that our students will continue to move forward towards bridging any academic gap while instilling success through character development in a safe and healthy environment. We foresee our students as imminent adults, who will not only set encouraging examples for others, but also offer technologically multifaceted and academically well-formed experiences in fashioning their own futures. 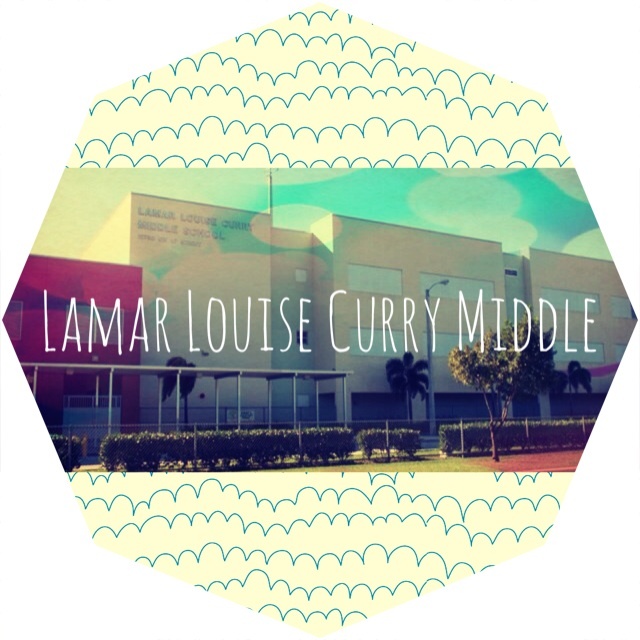 Lamar Louise Curry Middle School is a place where great things happen and that has been highlighted for its high levels of achievement in the areas of academics, athletics and arts. The IB program continues to provide the students the opportunity to be challenged intellectually while encouraging them to be more creative in their educational journey. We are committed to continue to provide each child with an environment that will foster a rich learning experience and an opportunity for them to reach their greatest potential. I look forward to working with all of you; parents, students, teachers, staff and the community so that together, we make this school year another gleaming success.